Consumer drones are aplenty these days – with the release of DJI’s latest Mavic Pro and even GoPro’s own Karma drone, combined with a slew of competing quadcopters, 2016 has seen quite a few drones take flight and capture sublime images and videos from a birds eye view. However, there comes a time when you are on holiday for example, or a relaxing weekend getaway and you really want to get that overhead shot with your GoPro Hero 5, but either don’t have access to your quadcopter, or you simply don’t own one. This is where AER for GoPro comes in. No drone, no problem – AER is a new way of using your GoPro Hero 3+, 4 and Hero 5 to get unique aerial shots by simply throwing your GoPro in the air without the need for a drone. 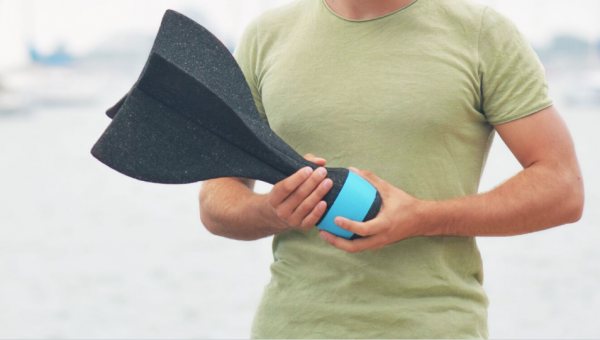 The young startup from the Netherlands has so far received nearly 119,000 Euros in Kickstarter contributions, thus far exceeding their initial goal of 70,000 Euros. The AER is really one of these products that you look and say to yourself – hey, I can’t believe someone hasn’t done this already! Well, three twentysome year-olds from Holland (Mark De Boer, Nick Schijvens, and Levin Trautwein) did and are giving you yet another fun way of using your GoPro without having to spend hundreds for a quadcopter and learning how to fly it. 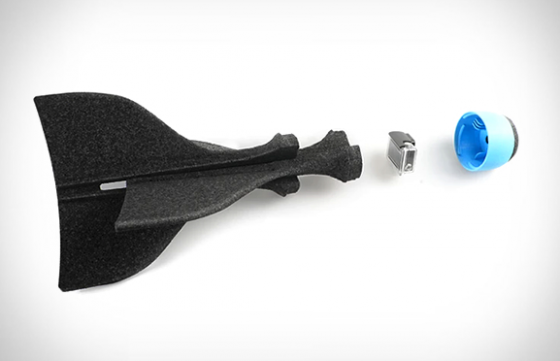 The AER is simply a foam dart, in which you stick your GoPro and throw as far as you can. The aerodynamic dart-like design ensures a stable flight (within reason of course, don’t forget to account for wind, also for the fact that you’re probably not an NFL quarterback) and for you nerds out there, the head is made out of molded PP (Polypropylene), while the wings and the bumper of the head is made from molded EPP (ExpandedPolypropylene). Installation is really easy, all you need to do is pop your GoPro Hero 5 Black, or Hero 4/3+ into the head, slide the wings together and screw the wings to the head with a single twist motion. 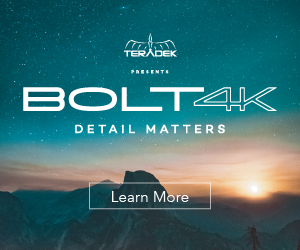 You really don’t need any tools, there is no calibration needed and probably the best bit about it – there is no electronics or batteries needed (apart from the one in your GoPro duh!). 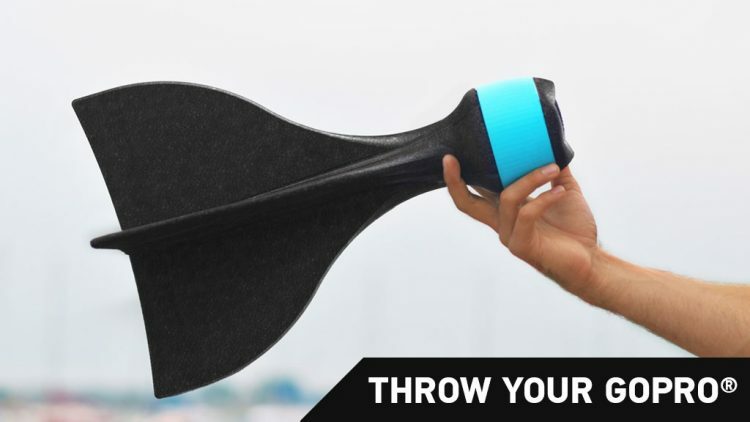 So all in all, the AER for GoPro, while it may not replace drones for getting beautiful and smooth aerials, might just be the right gadget to take on your next beach holiday or weekend adventure. The Super Early Bird specials at 39 Euros are gone, but there are around 42 AERs still available at the Early Bird price of 49 Euros. To grab one (or more) head over to the AER Kickstarter campaign here, which ends in less than 48 hours.